Is there a canning season? We're really lucky here in Los Angeles County. Most farmers markets across the country only recently opened for business for the year, running on a tight seasonal harvest schedule. Here in LA? We harvest year-round and our farmers markets are open from January to December. "Putting up" is a constant activity here - pickling Brussels sprouts, kohlrabi, and cabbage in December; hot packing carrots and beets at their peak flavor in January; freezing persimmon puree and juicing pomegranates in November; and let's not forget all the winter citrus heading into marmalades, getting juiced, or flavoring myriad liqueurs and beers. That said, things do tend to pick up a bit when May rolls into view. 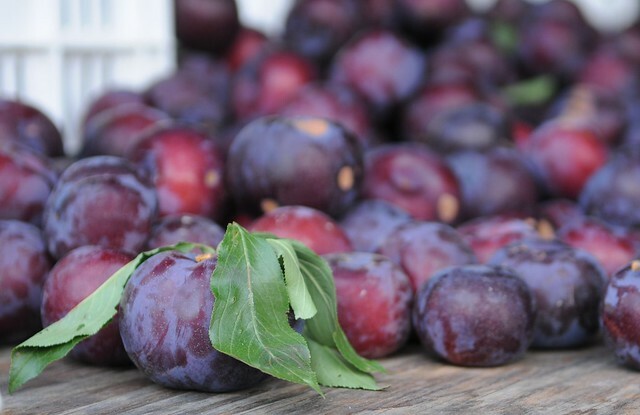 The first of the stone fruits - sour plums and cherries - hit the tables in mid-May. And let's not forget mulberries, though how could we when so many trees dot our neighborhoods, sometimes providing a free harvest. And now, we're just starting to see peaches and plums. It's going to be a busy summer. The colder-than-usual winter we had this year gave all the stone fruit trees plenty of rest time and now are producing some record setting fruit harvests. To get you started, here's a super simple recipe from The National Center for Home Food Preservation. Happy summer! Pour hot jam into hot, sterile jars, leaving ¼ inch headspace. Wipe rims of jars with a dampened clean paper towel; adjust two-piece metal canning lids. Process in a Boiling Water Canner - five minutes if you are at 0-1000 feet, 10 for 1001-6000 feet. Pour hot jam into hot, sterile jars, leaving ¼ inch headspace. Wipe rims of jars with a dampened clean paper towel; adjust two-piece metal canning lids. Process in a Boiling Water Canner.